Spring greens, onions, strawberries, and more! With the arrival of June, it’s officially farmers’ market season in Northeast Ohio and Ohio State University (OSU) Extension Cuyahoga County is gearing up for another season of offering Produce Perks at local farmers’ markets. The Produce Perks program offers Supplemental Nutrition Assistance Program (SNAP) customers a dollar-for-dollar match, doubling their purchasing power at participating farmers’ markets, farm stands, CSAs, and mobile markets. For every dollar a SNAP customer spends at a participating farmers’ market or farm stand using an Ohio Direction Card, they receive a free additional dollar, referred to as a “Produce Perk,” to use to purchase fresh fruits and vegetables. Produce Perks allows low-income customers the opportunity to purchase more healthy, locally-grown produce. The Produce Perks program was piloted in Cuyahoga County in 2010 by the Cleveland-Cuyahoga County Food Policy Coalition and is implemented locally by OSU Extension. Produce Perks is now Ohio’s statewide nutrition incentive program, guided by the Ohio Nutrition Incentive Network (OH-NIN). Prior to 2015, regions across Ohio operated independent nutrition incentive programs. In 2015, Wholesome Wave, a national non-profit, received a USDA-FINI grant to build the capacity of nutrition incentive programming in Ohio (among 19 other states). Over the course of the three years, regional programs came together to form the Ohio Nutrition Incentive Network and to expand and operate one statewide nutrition incentive program, Produce Perks. The formation of this network has provided many perks (pun intended)! One perk has been increased support for local and statewide marketing through new or expanded partnerships with agencies such as Ohio Department of Jobs and Families Services. In addition, with Support from Wholesome Wave and Ohio Department of Health, Produce Perks Midwest has been able to test innovative marketing tactics to help guide outreach efforts. 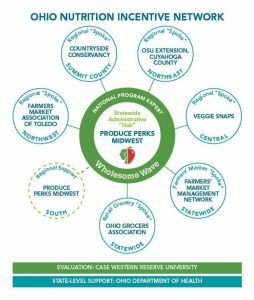 Scaling up has also provided the benefit of increased funding; most notably, OH-NIN was awarded funding from Ohio Department of Health funding to implement Produce Perks across the state in 2018. To learn more about the statewide program impacts in 2017, click here. As of May 1st, OH-NIN increased the match offered through the Produce Perks program to $20. This increase has doubled the SNAP incentive match offered in Cuyahoga County in previous years. OSU Extension and participating farmers’ markets in the county are elated; increasing the match was something we’ve wanted to do for years, but the ability to do so only became possible through the formation and success of OH-NIN. Cuyahoga County saw an increase in demand for incentives and fresh produce immediately after increasing the cap on the matching dollars offered. While most of our farmers’ markets don’t open until June, we have three farmers’ markets in the county that are open year round. When comparing data for May of 2017 and May 2018, North Union Farmers’ Market at Shaker Square has seen a 76% increase in SNAP sales and 104% increase in Produce Perks incentive distribution, increasing sales for small to mid-sized farms. We anticipate seeing similar trends at all markets in the County as the season takes off. In 2018, Produce Perks will be offered at 84 farmers’ markets, farm stands, mobile markets, and CSAs in 20 counties across Ohio. The Produce Perks program will also be offered at a select number of grocery retail sites. OH-NIN is looking to expand its network of participating locations. Any farmers’ markets, farm stands, or CSAs interested in offering Produce Perks can complete an application found here. Ideally, new sites applying to join OH-NIN would be SNAP authorized by the USDA and have accepted SNAP/EBT for a minimum of one year. However, those are not hard requirements and OH-NIN can provide technical assistance for SNAP authorization and accepting EBT. To learn more about SNAP at farmers’ markets, Produce Perks, and OH-NIN contact Amanda Osborne, County Extension Educator in Cuyahoga County. Did you know that more than 38 million tons of food waste was generated in the U.S. in 2014? To help address this issue, OSU Extension Cuyahoga County teamed up with two local partners this past summer to launch a Food Waste, Recovery, & Education pilot program at the Tremont Farmers’ Market. 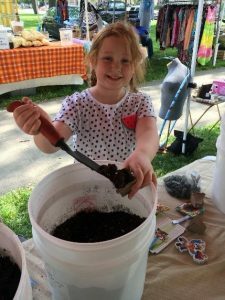 OSUE Cuyahoga County, Rust Belt Riders, and Stone Soup Cleveland piloted a community composting program, modeling the efforts of cities such as Washington, .D.C. and New York City. 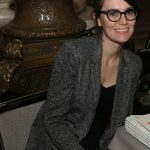 The pilot program aimed to help reduce food waste and divert scraps from landfills while providing education about food insecurity and food recovery systems. The partners spent 4 weeks at the farmers’ market doing outreach and promotion before beginning 8 weeks of scrap collection. The pilot offered free sunflower planting for children (and adults!) with compost from Rust Belt Riders to help spark community engagement and begin dialogue about food waste in the county. Residents who signed up for the free program 8 week were provided one-gallon containers with lids that they could take home and use to collect their compostable food scraps over the course of the week. 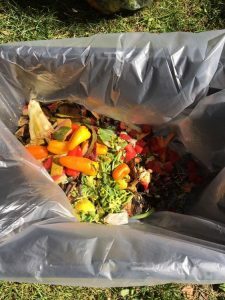 Residents could bring their scraps to the farmers’ market to be weighed and recorded, helping them gauge their waste production and environmental impact. The containers were emptied into a larger bin that would be later delivered to Rust Belt Riders to be composted. Over 30 community members actively participated in the Food Waste and Food Recovery pilot project at the Tremont Farmers’ Market. Over 8-weeks, residents were able to drop off their compostable food scraps and engage in food waste education. In just 8 weeks, over 750 pounds of food scraps were diverted from landfills. 88% if participants were surprised by how much food waste they were producing, and 94% of participants stated the program helped them become more conscious about the amount of food waste they produce. While the program was designed to serve apartment dwellers, almost 30% of participants were homeowners with access to a yard who noted they did not know how to properly compost. Through this pilot, we learned that there may be a significant number of households in Cleveland who are not composting simply because they do not know how. Composting workshops have been set up to serve those participants and other homeowners who are interested. As with any pilot project, you set out not really knowing what will happen and inevitably encounter a variety of challenges and valuable lessons. We were pleasantly surprised by the level of community engagement and support, but we did not consider any potential drawbacks such as odors. We quickly learned that we needed to ask program participants to place their containers in the fridge or freezer to slow decomposition and eliminate any unpleasant smells. A few very ripe containers caused some of our market neighbors to be a bit upset. The pilot was well received by community members and market vendors, being seen as a valuable addition to the farmers’ market, but we did not have any next steps planned. As the pilot ended, program participants were anxious to know what they might do with their scraps. We had created a group of food waste conscious community members, but did not have a long-term solution for them. When we surveyed participants after the pilot ended, 41% said they would participate in fee-based residential compost services in the future. This finding sparked Rust Belt Riders to create a Community Supported Compost Program, where residents can pay for an annual membership that allows them to drop their scraps off at their facility to be composted at any time through the year. The partners plan to host the program at the Tremont Farmers’ Market again next summer, extending the programming to be offered for a longer duration of 16-20 weeks! What will you do to reduce your food waste? To learn more about food waste and food recovery systems, contact Amanda Osborne, County Extension Educator, Cuyahoga County & Western Reserve EERA. No yard? No problem! Compost your food waste anyway! Food. It’s what’s for dinner (and, well, breakfast and lunch). Until, that is, it becomes food waste. Did you know that more than 50 million tons of food waste goes to landfills every year, or that roughly half is generated at the household level (ReFED)? We can help reduce food waste through better meal planning, proper storage of produce, and preservation methods through canning or freezing. However, no matter how well we implement any of these strategies we will always have corncobs, carrot peels and ends, and other such waste that ultimately ends up discarded. What can we do? A compost pile is an option if you own your home and have a small space available in your yard. Backyard composting is common in United States, but is best suited for those who own a home with a yard. The renter and apartment dwellers without a yard face the greatest challenge. According to the National Multifamily Housing Council, 35% of residents (111 million people) in the United State rent the property they live in. The only city to truly address this challenge is San Francisco with its curbside composting program; one part of the city’s zero waste initiative. There, food waste is picked up by the city the same way they do for recycling and trash, but to be composted. 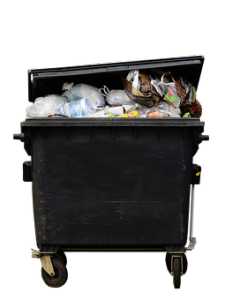 In Cuyahoga County, we do not have curbside composting or a class II composting facility. As such, food waste has become a very salient issue in Cuyahoga County with many apartment dwellers looking for a compost option. To address this challenge, OSU Extension and two local partners have teamed up. The Cuyahoga County Extension Office is hosting a Food Waste, Recovery, & Education project this summer at the Tremont Farmers’ Market. Farmers’ markets are great community spaces and provide the perfect location for educating residents on the full life cycle of food. In partnership with Rust Belt Riders, a local composting business, and StoneSoupCLE, a non-profit focused on food recovery, we are providing residents the opportunity to stop by the farmers’ market every Tuesday from June 20th through August 15th to drop off their food scraps for composting by Rust Belt Riders. When residents drop off their food scraps at the market, the scraps are weighed so we can track the pounds of waste diverted from landfills and provide residents with real data describing their individual impact and reduction in their carbon footprint. What will you do to reduce your food waste? To learn more about food waste and food recovery systems, contact Amanda Osborne (osborne.414@osu.edu), County Extension Educator, Cuyahoga County & Western Reserve EERA. How can we improve the environment, save money, and more effectively address food insecurity issues? One approach within the larger sustainability movement involves looking more closely at the issue of food waste. 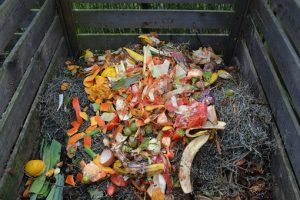 According to the U.S. EPA, in 2014 more than 38 million tons of food waste was generated, with only 5.1% being diverted from landfills and incinerators through composting efforts. The EPA estimates more food reaches landfills and incinerators than any other single material in our waste streams, accounting for 21.6% of our discarded solid waste. According to the Natural Resource Defense Council (NRDC), an international environmental advocacy group, “Getting food from the farm to our fork eats up 10 percent of the total U.S. energy budget, uses 50 percent of U.S. land, and swallows 80 percent of all freshwater consumed in the United States.” When we consider the large amount of natural resources used for food production it is troubling that 40% of food in the U.S. goes uneaten. 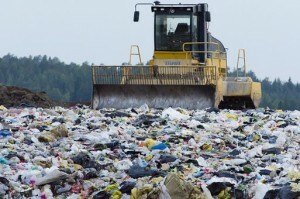 The uneaten food ends up rotting in landfills where it accounts for a large portion of U.S. methane emissions, posing negative effects on the environment. However, food waste is not only an environmental concern, but also a social and economic issue. The economic effects of food waste are just as startling. Americans throw away the equivalent of $165 billion worth of food each year. In addition to food waste occurring at the consumer level, 10% of the total food supply at the retail level enters the solid waste stream. The USDA estimates that supermarkets lose $15 billion annually in unsold fruits and vegetables alone, in addition to the baked goods, meat, seafood, and ready-made foods that go unsold. 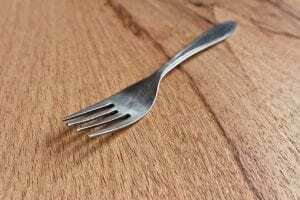 These items can easily be recovered from the waste stream by donating them to local food banks and food pantries, and retailers can receive tax benefits for doing so. Aside from economic and environmental benefits of reducing food waste, recovering or diverting edible food from the waste stream could help to address the larger social issue of food insecurity in the U.S. In 2015, 12.7% of U.S. households (15.8 million households) were food insecure (USDA ERS), and 6.6% of households in Ohio were found to have “very low food security,” defined by the USDA as households in which “normal eating patterns of one or more household members were disrupted and food intake was reduced at times during the year because they had insufficient money or other resources for food.” Reducing food losses by just 15% recovers enough food to feed more than 25 million Americans every year, which could have a profound impact when we consider that one in six Americans lacks a secure supply of food. To learn more about food waste and food recovery systems contact Amanda Osborne (osborne.414@osu.edu), County Extension Educator, Cuyahoga County & Western Reserve EERA. Doctors in Ohio are now prescribing fresh fruits and vegetables to their patients! 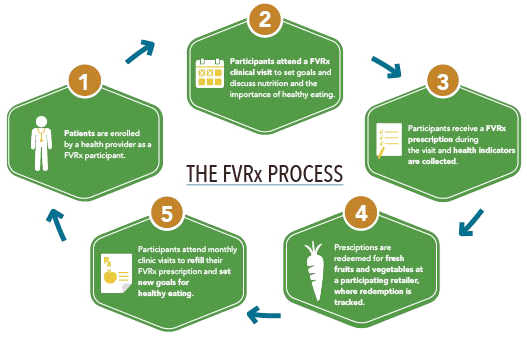 Fruit and Vegetable Prescription Programs (FVRx) have been developed across the country with support from Wholesome Wave, a national non-profit focusing on access to and affordability of healthy, local foods in underserved communities. Fruit and Vegetable Prescription Programs are innovative solutions to treating and preventing chronic diet-related disease. These programs aim to connect individuals with diet-related illnesses to healthcare providers and farmers’ markets. The goal: to increase fruit and vegetable consumption, particularly in underserved communities, via access to such foods and the necessary financial support. Produce Prescription (PRx) is a Fruit and Vegetable Prescription Program in Cuyahoga County that is implemented through a broad collaboration; participants include Ohio State University Extension-Cuyahoga County, the Prevention Research Center for Healthy Neighborhoods (PRCHN) at Case Western Reserve University, and the Cuyahoga County Board of Health. Produce Prescription (PRx) in Cuyahoga County now focuses on two populations. PRx was piloted in 2014 to support expectant or new mothers (PRx Moms) and increase healthy birth outcomes. The program was expanded in 2015 to include individuals with hypertension (PRx HTN). In 2016, PRx Moms will serve 200 expectant or new moms, and PRx HTN will serve up to 450 individuals. New or expectant mothers or individuals with hypertension are enrolled by their primary care provider as PRx participants. A primary care provider meets with participants each month to reinforce the importance of healthy eating and evaluate the patients’ nutrition goals. The provider distributes PRx vouchers worth $40 to patients during each monthly visit, assesses fruit and vegetable consumption, and tracks health outcomes. PRx vouchers are redeemed for fresh fruits and vegetables by participants at participating farmers’ markets in Cuyahoga County. Participants return to their health care provider each month to monitor goals for healthy eating and receive their monthly PRx vouchers throughout the duration of the program. PRx programming in Cuyahoga County has had profound impacts on both public health and small to mid-sized farmers. 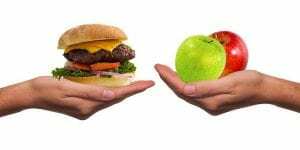 In 2015, participants enrolled in PRx HTN increased their consumption of fruits and vegetables by nearly one serving for each and patients reported fewer weekly fast food restaurant visits. In addition, 79% of participants reported trying a new fruit or vegetable. Analysis for the 2015 PRx Moms program is still being conducted. The majority of PRx vouchers in Cuyahoga County are redeemed at 5 of the 29 participating farmers’ market locations. In 2015, over $24,000 worth of PRx vouchers were redeemed at farmers’ markets in Cuyahoga County, significantly benefiting small to mid-sized farms. PRx programming also serves as an education tool for helping Ohio Direction Card recipients learn how to stretch their SNAP dollars at farmers’ markets through the Produce Perks SNAP incentive program. To learn more about developing a Fruit and Vegetable Prescription program, contact Amanda Osborne, County Extension Educator, Cuyahoga County & Western Reserve EERA, at osborne.414@osu.edu or 216-429-8200 ext. 212. How do you double consumer purchasing power at your local farmers’ market? Follow the lead of markets in Cleveland, Columbus, and Cincinnati. They have helped SNAP recipients with a free dollar-for-dollar match for every dollar spent (up to $10) using an Ohio Direction Card. In Cuyahoga County, the SNAP incentive program is referred to as Produce Perks, and the additional match provided can be redeemed for fresh fruits and vegetables. Such programs provide a variety of community benefits. In Cleveland, many farmers’ markets are located in food deserts, defined as areas with limited access to affordable and nutritious food that are often composed of predominantly lower‐income populations. In these cases, farmers’ markets provide residents with access to fresh, local fruits and vegetables that are often not offered at common shopping destinations, such as corner stores. Incentive programs help SNAP recipients stretch their monthly food budget and promote the consumption of fresh, local fruits and vegetables. In addition to providing community health benefits, incentive programs help support local farmers by providing them with new a customer base and helps to diversify their revenue streams. To develop an EBT incentive program at your farmers’ market you must first apply for an FNS (Federal Nutrition Services) number through the USDA, which allows the market to accept Ohio Direction cards. After receiving your FNS number, you will be contacted by Market Link to receive free EBT equipment that will be used for swiping Ohio Direction cards at your market. Funds for the incentive match dollars will need to be obtained. Currently, most incentive programs are funded by local private foundations. However, more recently the USDA offers grants under the Food Insecurity Nutrition Incentive program to support incentive programs. A dedicated market staff member or volunteer will be needed to manage the program and train vendors on item eligibility with tokens, as well as track all SNAP sales for reporting. 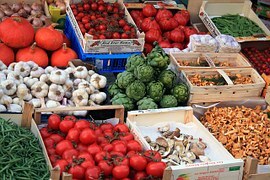 To learn more about developing an incentive program at your farmers’ market, contact Amanda Osborne, County Extension Educator, Cuyahoga County & Western Reserve EERA, at osborne.414@osu.edu or 216-429-8200 ext. 212.